Harbor Cove RV Resort is a new campground located in Coldwater, Michigan. This RV exclusive resort offers everything that RVers need for a great vacation or weekend away … from on-site conveniences like a camp store, to renting boats and kayaks for family fun on the water. Read more about all the amenities available. Reserve our beautiful banquet facility for your next event! Our 2,000 square feet of new accommodations will create the perfect location for baby and wedding showers, family reunions, birthday parties, business meetings and more. Handicap accessible. Need a caterer? We have one! For more information call Marty or Rose at 517-227-7293. 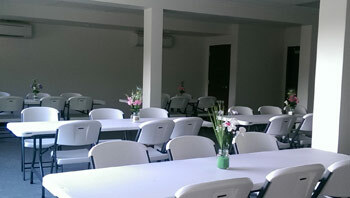 To view additional photos of this facility, please visit our photo gallery and click the "banquet facility" button. 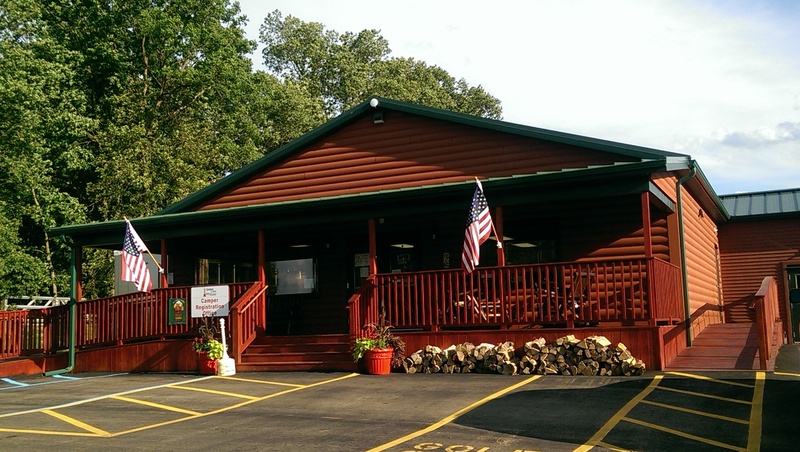 Log Store is welcome to all RVers, boaters and the public! Hours are Monday-Wednesday 9 a.m. to 7 p.m., Thursday-Saturday 9 a.m. to 9 p.m. and Sunday 10 a.m. to 6 p.m.
Free Wi-Fi to all visitors in the Log Store. Great food from proprietors Marty & Rose of Charlie's Pride BBQ and Catering! In our resort store you'll findbeer, wine, dairy products, ice, pop, water, personal hygiene products, candy, a slush machine, nachos, cookies, coffee, fountain sodas, snacks, ice cream, detergent, cleaning supplies and canned goods. Hand-dipped ice cream from Ashby's—with amazing flavors such as “Happy Camper” and “Michigan Pothole”! Visit our online reservation page to view availability and reserve your site today! If you have any questions, please give us a call at 517-279-2683/269-751-9990. Browse our photo gallery to see what fun is awaiting you at Harbor Cove RV Resort.